You're the bride, don't sacrifice your pride... that's what the bridesmaids are for! 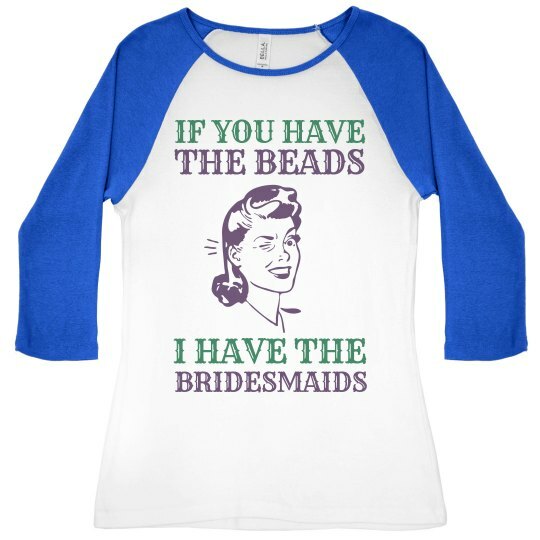 If you have the beads, then I have the bridesmaids. Grab this hilarious top for you bachelorette party.